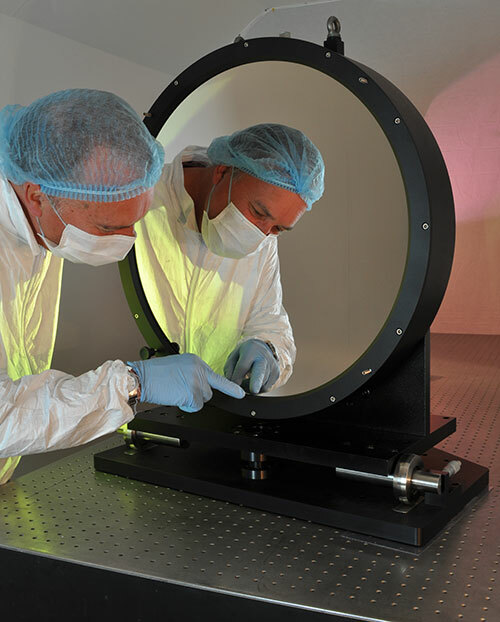 Optical Surfaces is a producer of fast focusing on-axis parabolic mirrors precisely manufactured to customer specifications and supplied with full surface quality test data. In comparison to an off-axis paraboloid, an on-axis parabola offers certain advantages. The effective f-number that can be achieved is lower therefore more energy can be concentrated. Generally, also alignment of on-axis parabolic mirrors is less critical, thus easier. Optical Surfaces can routinely produce both circular and irregularly shaped on-axis parabolic mirrors with a surface accuracy of better than lambda/20 p.v and microroughness typically less than 1.2nm rms. Combining this with an extensive array of high reflectivity coatings enables researchers to achieve the high optical performance and efficiency required by even the most demanding experiments.